Look, we can explain. Sort of. Yo, that Mickey Mouse has a goddamn sword. Riku, Sora, and Mickey, each wielding their own Keyblade. You’re gonna have to rewind here. Like, a lot. Why is Mickey Mouse fighting the darkness alongside a bunch of anime-looking people? Your main heroes, for the most part: Goofy, Sora, and Donald. An older, slightly better clothed Sora meets Frozen’s Elsa in Kingdom Hearts 3. Not really—while a few Final Fantasy favorites like VII’s Cloud and Aerith or VIII’s Squall (who goes by “Leon” in the Kingdom Hearts universe, taken from his last name Leonheart) do show up, they’ve gotten less important to the overall story Kingdom Hearts is trying to tell at this point. In fact, so has Disney, in some ways. Classic Disney villains Pete and Maleficent, as they appear in Kingdom Hearts 3. Just a handful of the primary characters of the Kingdom Hearts universe, on the box art for 3. This is just scratching the surface of who’s actually important to this wild story. The reason for that is a) there’s a lot of it and b) Kingdom Hearts has a bit of an infamous reputation for having a terribly incomprehensible and impenetrable story for people outside of its most diehard fans. That’s not really true, because at its core, it’s an age-old saga about the balance between light and dark, and saving worlds from being consumed by evil forces. This might “only” be Kingdom Hearts 3, but there’s actually a lot more to it than that, as you’ll learn later. The most common form of Xehanort, the big villain of this current cycle in the Kingdom Hearts story. He’s had various looks and bodies and whatnot over the series. Okay, so this third game is out at the end of the month. All I gotta do is play one and two to get caught up, right? Suffice to say though, 20 minutes can’t possibly cover everything you need to know—but fans have been so excited for this game for so long that there are actually plenty of other in-depth video recaps for the entire saga that can help flesh things out. (Here’s a few to get you started, and a few years ago our sister site Kotaku wrote its own guide to the story!) 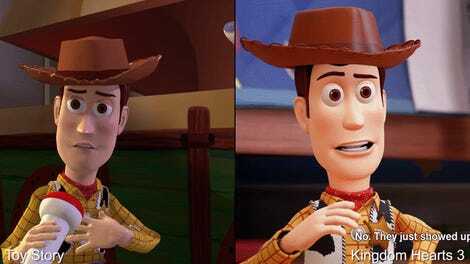 But even then, those won’t fully prepare you for every twist and turn Kingdom Hearts 3 might have either, at least compared to actually playing the entire series yourself. The real Kingdom Hearts. Literally not to be confused with the fake Kingdom Hearts, which is yellow but otherwise entire identical. Sure isn’t. Welcome to Kingdom Hearts! 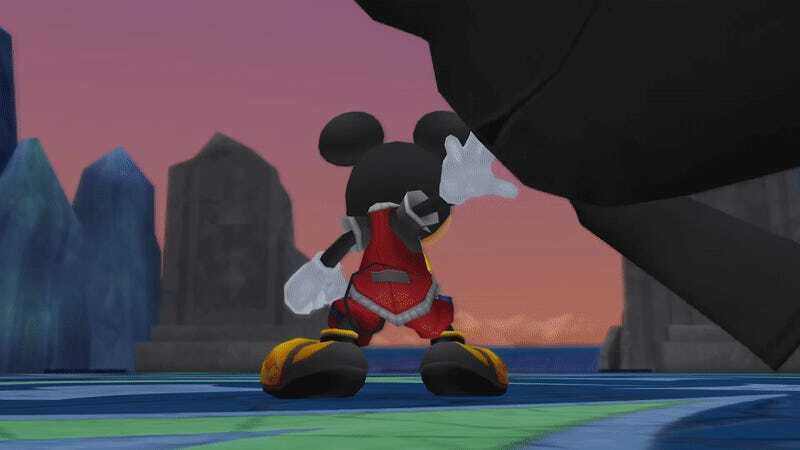 The long wait to see how it all comes together ends when Kingdom Hearts 3 is released on January 29.